This year, we thought rather than giving you another list of best to worst rated sandwiches we’d share with you how to make the ULTIMATE Christmas sandwich. Below we’ve shared the ‘magic five’ components to the creating the most mouth-watering sandwich... maybe ever! The outside of the sandwich is arguably the best and most important part; it’s the first texture you encounter and what sets the tone. The bread can’t be too soft because NOBODY likes a soggy sandwich, but also a dry sandwich needs to be avoided at all costs. The bread we swear by is a white sourdough; it’s the perfect balance of soft, but chewy and crunchy and holds filling perfectly without soaking up the mayo. Obviously, there needs to be turkey and Bacon in there. We’ve found free-range Bronze turkey’s are pretty much the holy grail. It must be brined then roasted for maximum succulence. Or, as Ross from Friends calls it ‘The Moist Maker’ because that’s exactly its job. It’s essential, if there’s no stuffing it means it’s not a Christmas Sandwich.We love a sausage and sage but you can freestyle the flavour, whatever takes your fancy. 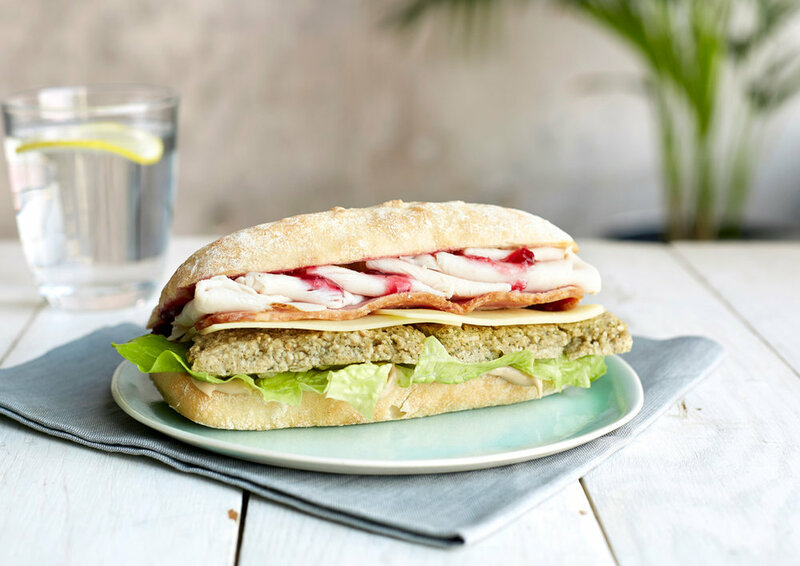 A Christmas sandwich is only as good as its cranberry sauce, the acidity helps cut through the fatty stuffing and bacon but the sweetness compliments the delicate flavour of turkey. Like everything, this is better homemade. There are tonnes of great recipes out there but Tracklments do the best shelf brought one we’ve found. All great sandwiches deserve a great mayo and this one is no exception. Chef Benn had the genius idea to mix that beautiful leftover gravy into mayonnaise which acts as the base of his inspired Christmas Sandwich. We mean it when we say it, Gravynnasie will change your life. It’s something that takes time and care but it’s a great way to use up that leftover Christmas turkey. We promise you if you get all these five key ingredients right your taste buds will be rewarded. If this all sounds like a lot of effort we’ve applied all of the ‘magic five’ to our Festive Sandwich over on our menu which can be delivered right to your sofa if you live within the magic five-mile radius of our kitchen.